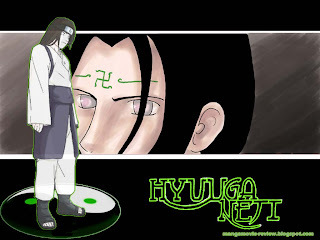 Neji Hyuuga is Hinata's cousin, same clan and same eyes (byakugan). Neji's child was so cold and arrogant, but after he was defeated by Naruto on chunnin exam, Neji changed his mind about other people and start understanding how to respect others. From this post you will know about difference between Neji's child and Neji when he was grow up. Especially about his style, Neji's child was wearing brown clothes, old brown trunks and blue shoes. 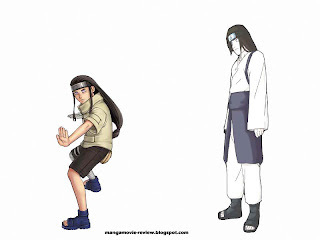 And Neji's adult is wearing white clothes with long arm, white long pants with blue case and black shoes. Neji's adult become more wise and cool. Now he never underestimate his enemy, he also confessing his teammate skill. If there is another difference from Neji's child and adult which didn't yet I mention, please tell me about it, so I can add more information detaily. Just like my previous post, I have new collection from Neji Hyuuga Shippuuden Wallpaper that I wanna share to you all Narutofans. Just click on image to get the real pixels and save it. I'm still waiting your information about Neji Hyuuga. Thanks for your visited here.